Hand made in France Le Maison de L’Etain Crystal Carafe with solid antique finish pewter harness and solid pewter handle – grape vines etches its way through the pewter. 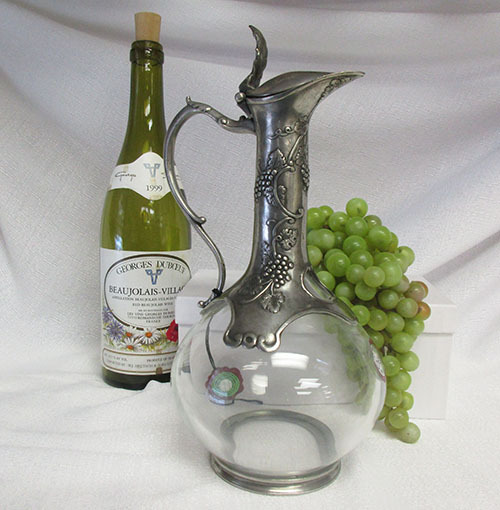 Crystal bottle sits on a pewter base. 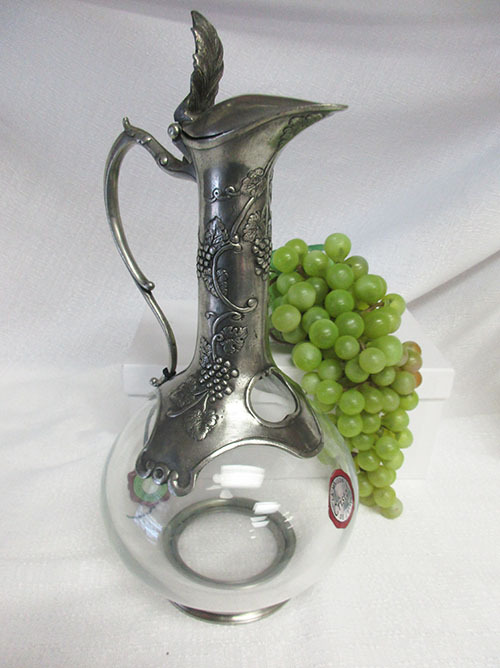 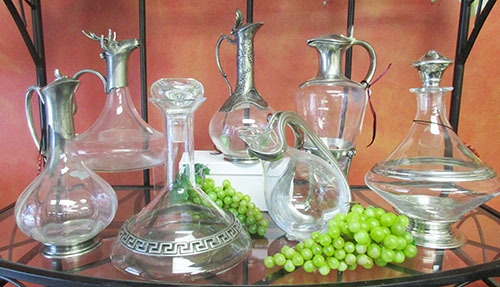 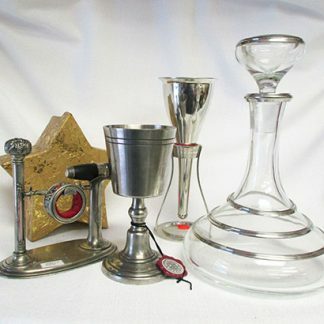 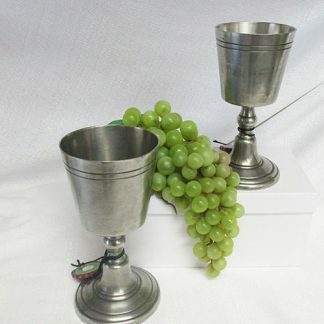 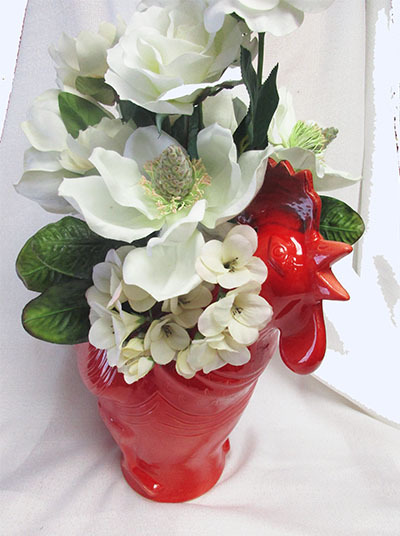 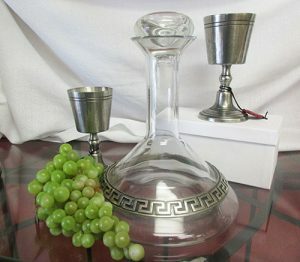 Truly a one of a kind piece and a must for the wine enthusiast. Made in France.